I was curious as to what the recommended way is to approach studying of all kinds; does the Torah prescribe any particular balance between religious and secular subjects? Rambam Hilchot Talmud Tora, chapter 1, halacha 12. He doesn't address non religious studies. But nowadays, most persons who need to work further need to learn a professional activity. To learn non Tora studies, not to work further is not a mitsva. This can help to understand Tora topics and is included in the third part of Tora learning. The Rambam explains in the halacha above that learning Tora is an obligation and needs a very large investment. It is not the case for other studies. But there are professional activities that need large investment in learning. I know that great Talmide Chachaminm I had the chance to know chose occupations that didn't need large investment in learning. Nowadays, one who need to support his family needs generally to work more than 3 hours. But the spirit of the text is that one needs to work less as possible, and learn Tora more as possible. Not the answer you're looking for? Browse other questions tagged torah-study secular-culture . What is a cultural Jew? What is the proper approach to a novel idea in Torah? 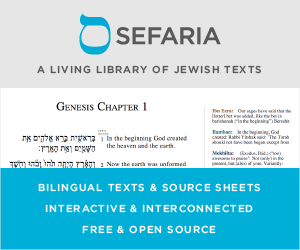 What resources are recommended for learning biblical exegesis?